Been drooling over all the creative romantic ideas I’ve been discussing this month but not sure you can afford them all? 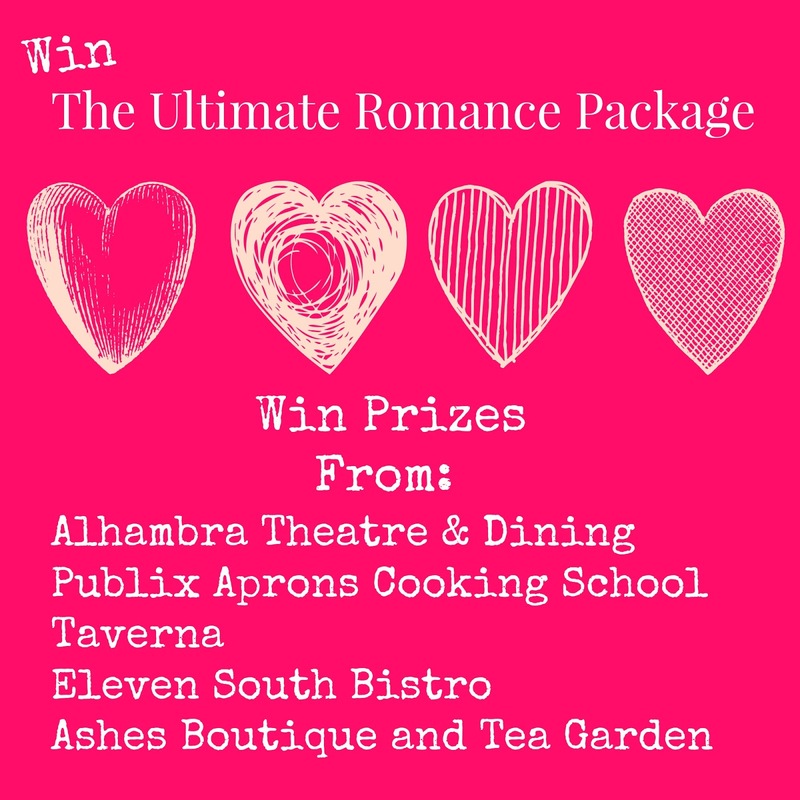 Get a taste of the best in my “Ultimate Romance Package” giveaway. Up your game in the kitchen with two seats to a demo class at Publix Aprons Cooking School, enjoy an intimate tea time with your sweetie, or experience award winning entertainment while dining in style. It can be one big date night, or you can space it out and enjoy. The winner will be announced on Valentine’s Day so don’t miss out, enter now!